The film provides an intimate glimpse into the arduous process behind creating an ambitious artwork that will give voice to the shared history and enduring culture of Indigenous societies that have made the region their home for thousands of years before a border ever divided it. Woven throughout this narrative thread are lush scenes using stunning cinematography to absorb viewers into striking land art environments that have preceded Post Commodity’s work. Scenes with other artists and intellectuals working in the land art realm provide context and insight as well. These include scenes with Chris Taylor of Texas Tech University’s Land Arts of the American West program, writer Lucy Lippard and Matt Coolidge of the Center for Land Use Interpretation. Through the Repellent Fence is an adventure in the artistic process blended with a road trip of discovery, visiting sites and diverse perspectives to explore how land art can generate community interaction and perceptual shifts in how we interpret, engage and draw inspiration from our natural world. 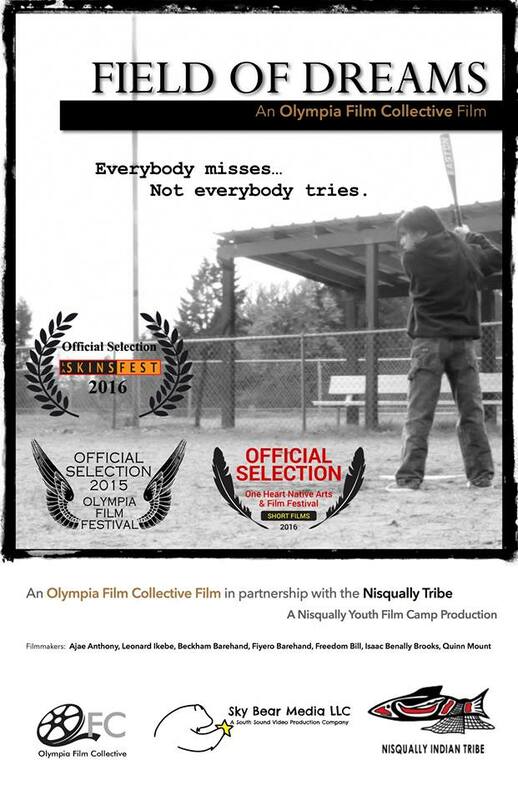 Accompanying this film is a Nisqually Spring Break Youth Film Camp short film, made in conjunction with Sky Bear Media and the Olympia Film Collective, written by Jeff Barehand, directed by Russell Brooks, and crewed by Nisqually Youth. A young boy finds solace on the baseball field and the courage to bridge the widening gap with his father.